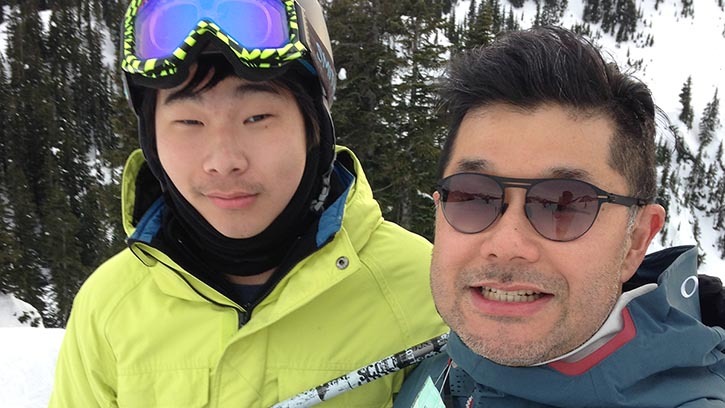 Seattle Symphony Principal Trombone Ko-ichiro Yamamoto brings a singular focus to his performances with the orchestra — and to skiing with his son. Ko-ichiro Yamamoto loves to dive into projects, whether he is teaching lessons over Skype at night, traveling to give master classes across the country, or writing a book about the trombone. But when the weather turns cold and snow falls on Washington’s Cascade mountains, Ko likes to go skiing as much as he can. “If the snow is good I can do the double diamond. Single black, no problem so far,” he says. He brings that same focus to his playing with the Seattle Symphony. Even after 14 seasons with the orchestra, he still revels in the experience of playing at Benaroya Hall. Through the caring support of our donor family, the Seattle Symphony is able to attract and retain world-class musicians like Ko. Join the community of supporters who make our music possible with your donation today!